In stock and ready to ship or stream instantly! BasketballCoach.com & Championship Productions, Inc. Exclusive! You won't find this video anywhere else! Discover over 20 plays to help you win in late-game situations! Mike Fratello draws on a lifetime of experience coaching at the highest levels of basketball to help you raise your game. This video will help you ask the right questions to optimize your offensive system. You will also learn a collection of over 20 time-tested plays for late-game situations that might just help you win a game of your own in the future. Coach Fratello shares the insights he has learned from decades of coaching so that no detail is missed in developing your offensive philosophy. He gives you ideas for a multitude of considerations such as adapting offense to your personnel, designing inbound plays for any situation, offensive rebounding, shot distribution, how to discuss these topics with your players, and more. Coach Fratello's thoughts will fuel discussion for your coaching staff to be ready for the season ahead. Six plays are demonstrated that will help you cross the entire court to score in the final seconds of a game. 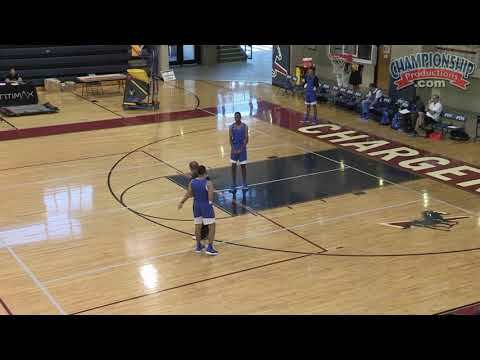 Coach Fratello shows home run options when there is no time to dribble, options for getting the ball in play versus pressure, plays that will create advantage situations for lay-ups, and multi-purpose plays with several scoring options. Eight sideline plays will open up 3-point scoring opportunities through a variety of methods to confuse the defense. These concepts are effective for situations where the defense might be switching screens. Several plays also show how to get a lay-up at the rim with as little as one second left on the clock! Coach Fratello shows several plays underneath the basket to get a quick shot close to the rim. These plays will shift the defense and combine with screens to open up gaps for easy scoring opportunities. These plays have been a part of some of the great moments in basketball history. Add them to your own library of special situation plays with the help of Coach Fratello! Log in to review this product!